Magnetic resonance imaging (MRI) is considered the most sensitive and specific imaging technique for the detection of muscle diseases related to myopathies. 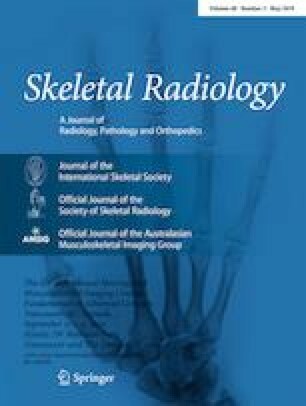 Since 2008, the use of whole-body MRI (WBMRI) to evaluate myopathies has improved due to technical advances such as rolling table platform and parallel imaging, which enable rapid assessment of the entire musculoskeletal system with high-quality images. WBMRI protocols should include T1-weighted and short-tau inversion recovery (STIR), which provide the basic pulse sequences for studying myopathies, in order to detect fatty infiltration/muscle atrophy and muscle edema, respectively. High signal intensity in T1-weighted images shows chronic disease with fatty infiltration, whereas high signal intensity in STIR indicates an acute stage with muscle edema. Additional sequences such as diffusion-weighted imaging (DWI) can be readily incorporated into routine WBMRI study protocols. Contrast-enhanced sequences have not been done. This article reviews WBMRI as an imaging method to evaluate different myopathies (idiopathic inflammatory, dystrophic, non-dystrophic, metabolic, and channelopathies). WBMRI provides a comprehensive estimate of the total burden with a single study, seeking specific distribution patterns, including clinically silent involvement of muscle areas. Furthermore, WBMRI may help to select the “target muscle area” for biopsy during patient follow-up. It may be also be used to detect related and non-related pathological conditions, such as tumors. We thank our MRI technicians Santiago Sotes and Irene Millan, and Donna Pringle and Jennifer Brickman for reviewing and improving the manuscript. All the procedures performed in studies involving human participants were in accordance with the ethical standards of the institutional research committee and with the 1964 Declaration of Helsinki and its later amendments or comparable ethical standards.